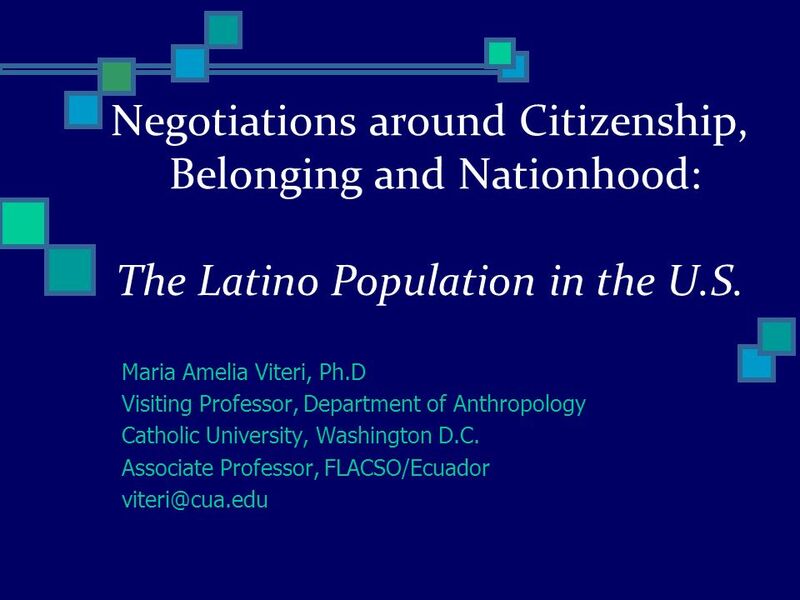 Negotiations around Citizenship, Belonging and Nationhood: The Latino Population in the U.S. Maria Amelia Viteri, Ph.D Visiting Professor, Department of. 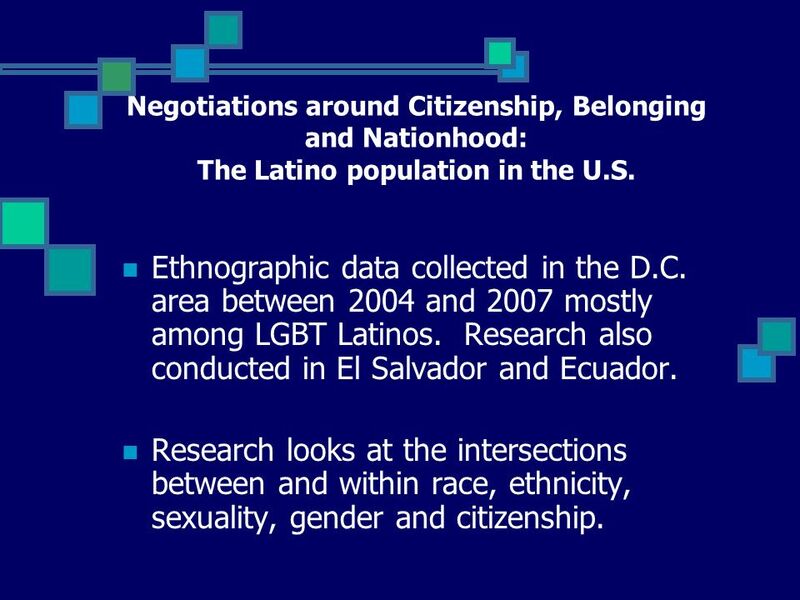 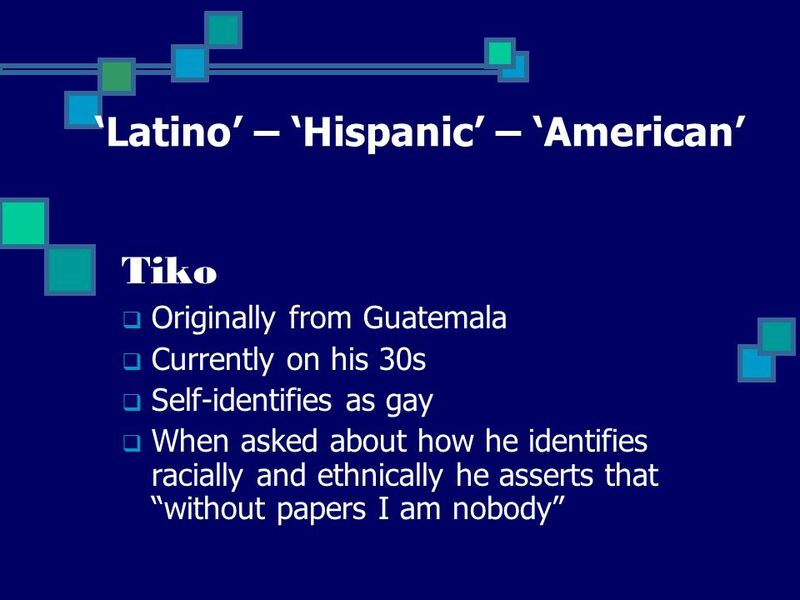 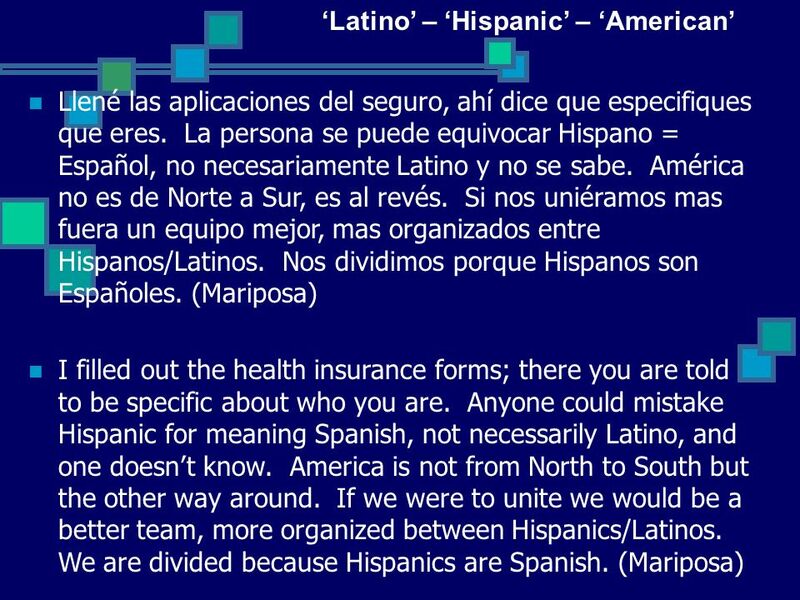 2 Negotiations around Citizenship, Belonging and Nationhood: The Latino population in the U.S. Ethnographic data collected in the D.C. area between 2004 and 2007 mostly among LGBT Latinos. 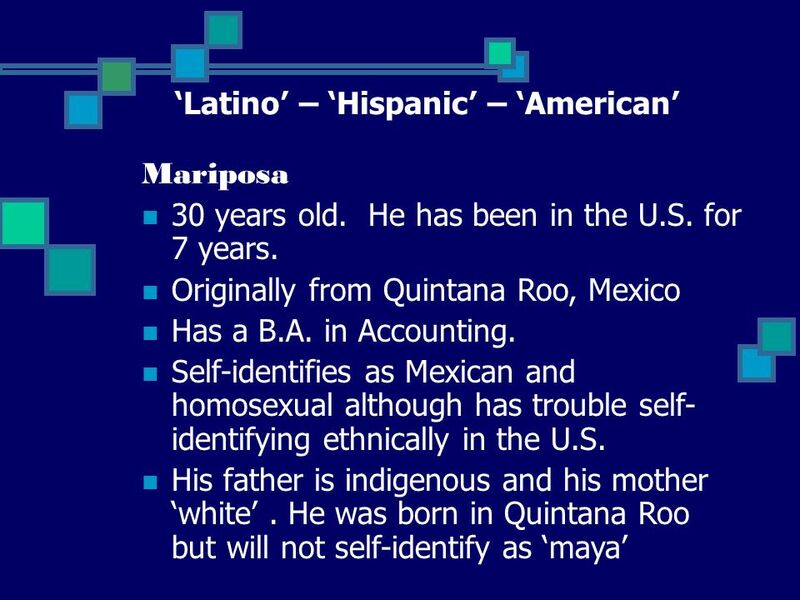 Research also conducted in El Salvador and Ecuador. 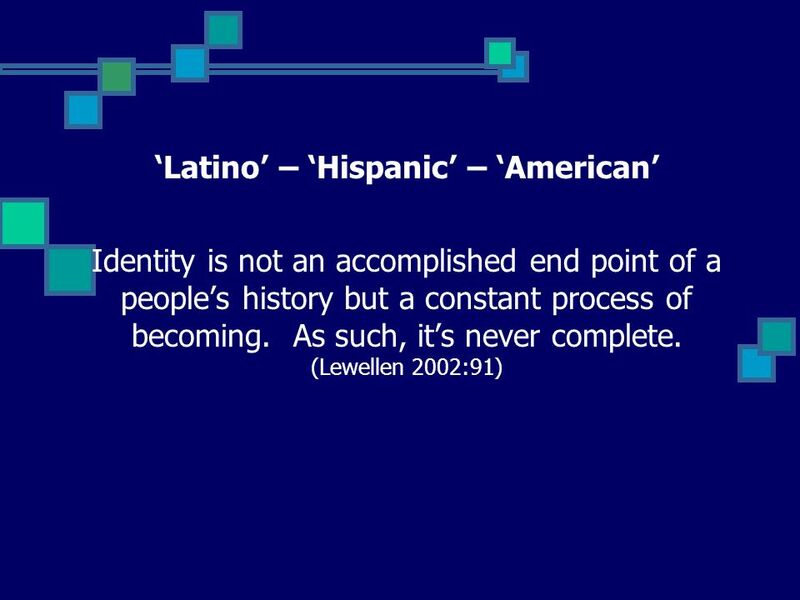 Research looks at the intersections between and within race, ethnicity, sexuality, gender and citizenship. 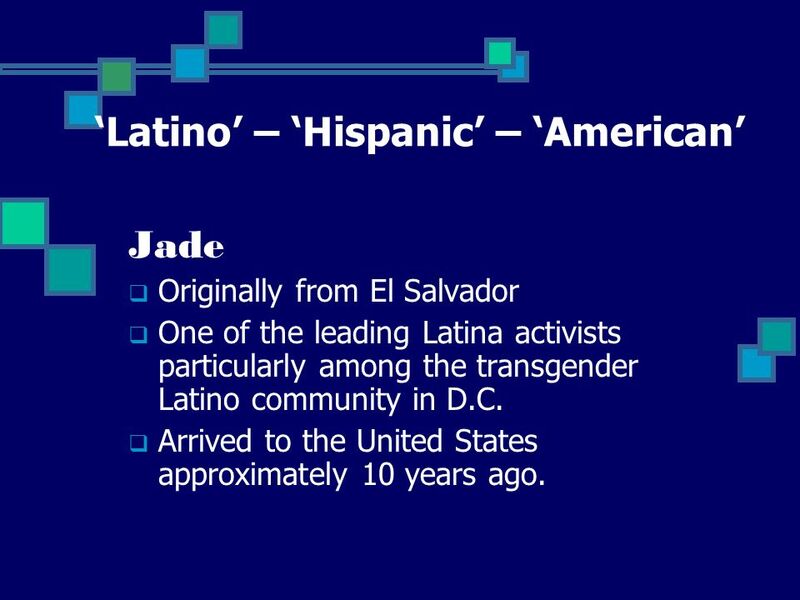 10 Jade Originally from El Salvador One of the leading Latina activists particularly among the transgender Latino community in D.C. 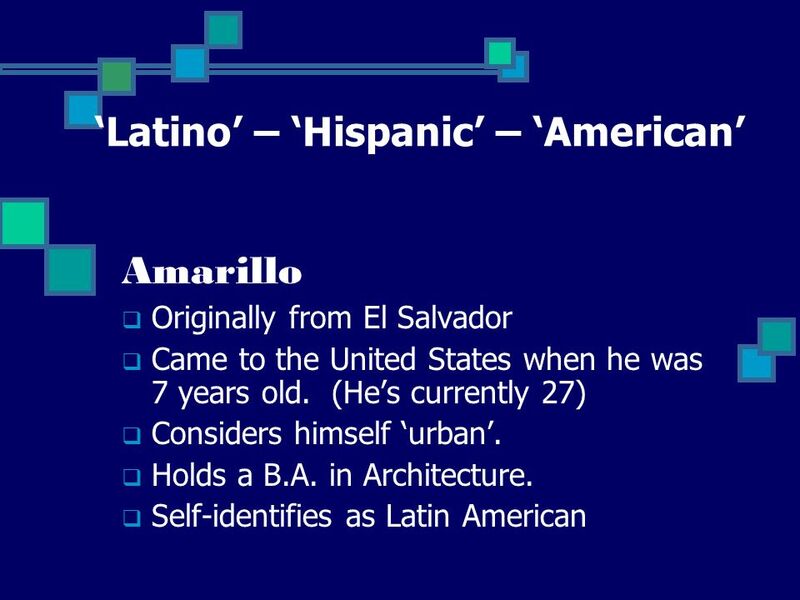 Arrived to the United States approximately 10 years ago. 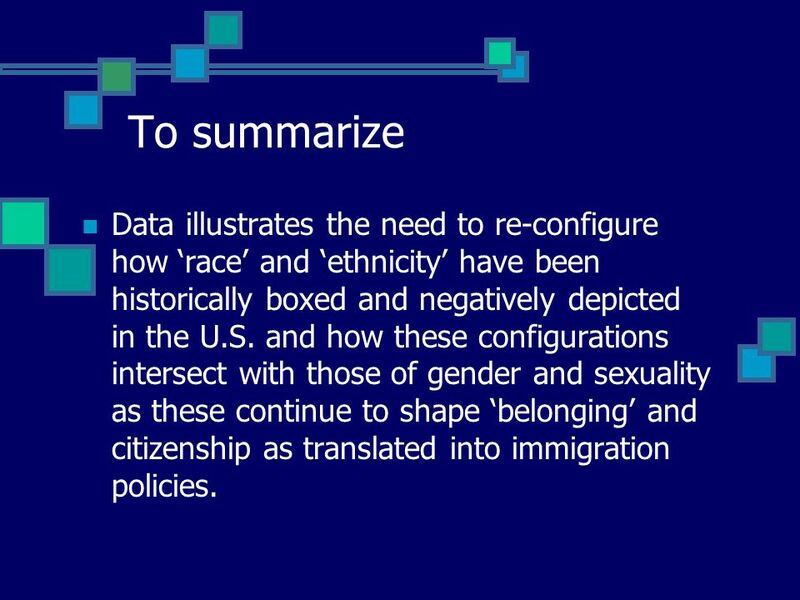 12 To summarize Data illustrates the need to re-configure how race and ethnicity have been historically boxed and negatively depicted in the U.S. and how these configurations intersect with those of gender and sexuality as these continue to shape belonging and citizenship as translated into immigration policies. 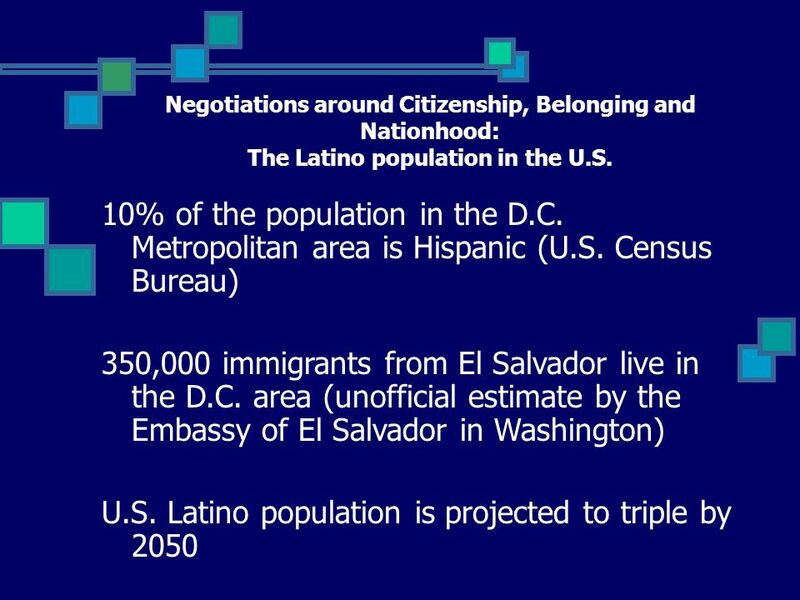 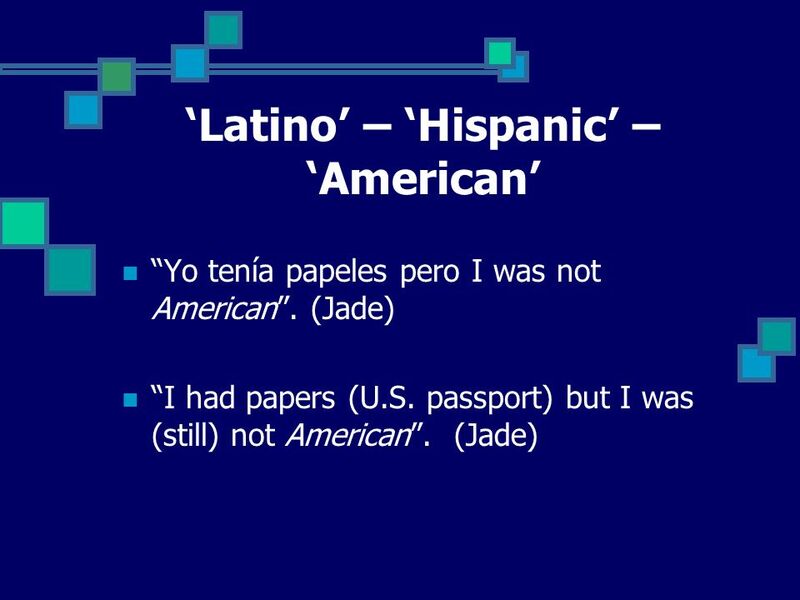 Descargar ppt "Negotiations around Citizenship, Belonging and Nationhood: The Latino Population in the U.S. Maria Amelia Viteri, Ph.D Visiting Professor, Department of."